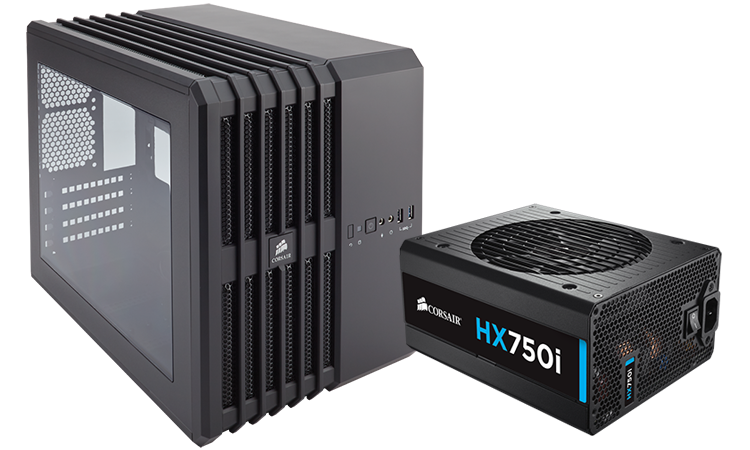 To celebrate the launch of its latest chassis and power supplies, Corsair has teamed up with HEXUS to give you the chance to win a brand-new PC upgrade bundle! Up for grabs today is a compact Carbide Series Air 240 chassis and a high-performance HX750i power supply. And to help spread the love that little fit further, we have not one but three of these bundles waiting to be won! Just the helping hand you needed to get started on your next PC build? Then don't miss out, answer the following simple question to enter our free prize draw. The competition winner will be picked at random from all eligible entries that arrive by midnight of the closing date, September 18, 2014. The winners will be notified via email by September 25, 2014. The winner must claim their prize within 7 days of the promoter sending notification. If the prize is unclaimed after this time, HEXUS reserves the right to offer the unclaimed prize to a substitute winner selected in accordance with these rules. The prize is one of three bundles comprised of a Corsair Carbide Series Air 240 chassis and Corsair HX750i power supply. Need a new power supply either way so yeah I'll take this. Cracking little case. Cheers for another excellent competition.